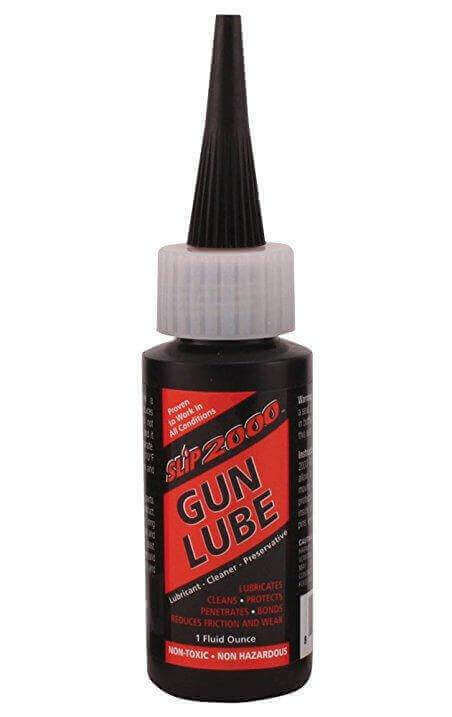 DescriptionSpecially Formulated Synthetic LubricantGun Lube is truly an “ALL IN ONE” synthetic lubricant providing complete benefits of a Cleaner, Lubricant, and a Preservative and it is an excellent CLP.Formulated especially for use on automatic rapid-fire and repetitive shooting firearms black powder, shotguns, rifles and pistols.Slip 2000 Lubricant contains an exclusive metal treatment designed to control friction, which reduces heat, which eliminates excessive wear. It penetrates the micropores of the metal surfaces bonding itself to the metal allowing lubrication from within the metal itself. DOES NOT Contain any Silicone or PTFE (Teflon*) type ingredients and never gets sticky or tacky. 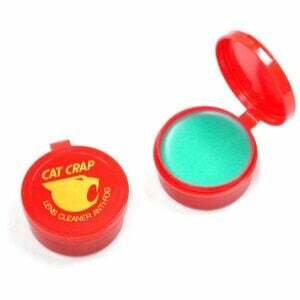 Does not attract dust, dirt or grime like a petroleum product. (* Teflon is a registered trade name)Its just like seasoning a frying pan, the more you use it, the less anything will stick!Slip 2000 Gun Lubricant was designed and formulated with multiple uses and extreme high performance requirements and conditions in mind. 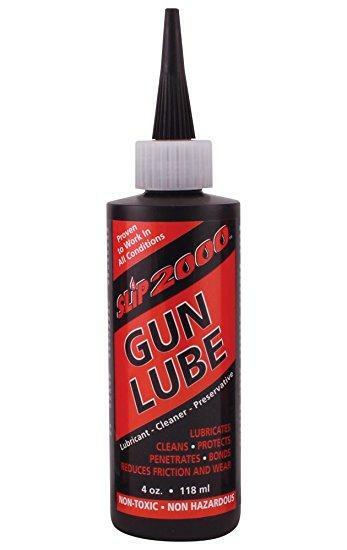 Slip 2000 Gun Lubricant will out perform all other Lubricants in its class in sever weather conditions, high humidity, rain, sleet, and snow working from -130 deg. F to + 1250 deg F » Product Information PDFExceeds current MIL-SPEC-63460ESlip 2000 Gun Lubricant has had to go through many testing stages. 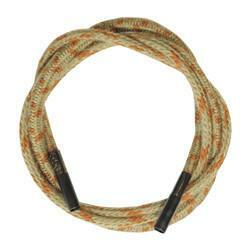 One of the product guide lines that was followed was MIL SPEC 63460E for the US government. Slip 2000 Gun Lubricant has passed all test requirements set forth for this spec and infact excededs many requirements. Simple to useApply to all moving parts of the mechanism and all parts that require lubrication and / or protection from corrosion.A few other recommended uses:HOME AND HOBBY:Locks, hinges, scales, musical instrumentsSPORTS EQUIPMENT:Fishing tackle, bows, cots, chairs, generatorsMARINE:Cable, chain, winches, propellers ALWAYS MAKE SURE YOUR FIREARM IS UNLOADED BEFORE STARTING YOUR CLEANING PROCESS. Big Tex always has what I need for a gun project. Ike stocks only the best.